Dunsfold Park is an operational business park with an ‘occasionally used’ airfield at its centre. The race has permission to use the outer perimeter road which has various states of road surface ranging from ultra-smooth to rough with the occasional pothole. 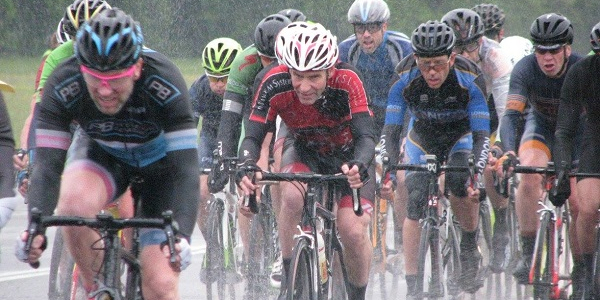 Races are held both on Wednesday (Vets series) and Friday evenings (4th/Women series) during the months of May, June, and July. The men cover 10 laps and if a separate women’s event, then the women cover 9 laps. All events must stay to the left-hand side of the circuit at all times because, as mentioned, Dunsfold Park is an operational environment with oncoming traffic around – usually buses and heavy goods vehicles. The only time riders can spread out to use the complete width of the circuit is when leading up to the finish and for the sprint to the finish. The traffic is held back at 2 specific points via marshals and must be supplied by the promoting club/team. Also, at least 3 further line judges are needed as well as 2 signing on stewards (these can be judges also) with First aid organised by the Surrey League (they usually arrive around 6.15pm). 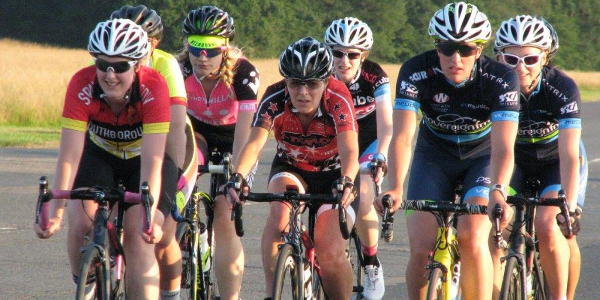 If you want to organise a Dunsfold race then the first thing you need to do is to choose an available date and book this with Glyn. Once you have specifically asked for a date, and the Surrey League has confirmed this with you, then you’ll need to let your club/team members know so they can pre-book the date well in advance. Upon arrival, and before the race commences, the organiser must ensure that a series of cones (4 sets) are removed from the track and placed in the grass verges away from the track. With pre-entry not applicable, this means riders will arrive and ‘enter-on-the-day’. Signing on is located in one of the small outbuildings next to the car park designated for the event and caters for both official and rider ‘sign-on’. The organiser will be supplied with all the correct paperwork at least one week before the event date and this must be brought to the event. Glyn will be present at all events and will assist if required. He will also help with the judging and communicate with the officials during the race. Running an event at Dunsfold Park is very straightforward and requires minimal personnel from the promoting club/team. That said, each event still requires the organiser to follow certain procedures to make sure it runs smoothly. Dunsfold Park is very open with no shelter for all concerned if the weather is cold, wet and/or windy. Please dress accordingly and inform your helpers also.